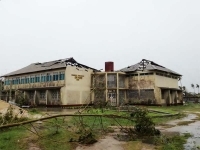 (ANS - Maputo) - The passage of Cyclone Idai across Mozambique has caused enormous loss of life, the destruction of the city of Beira and the disappearance of entire villages. More than 450 victims have already been established and more than 1,500 are injured in the country, not counting those in Malawi and Zimbabwe, other nations affected by this calamity. The Salesians of Mozambique, contacted by ANS, confirm that they have not suffered direct damage and are active in various ways to help relief operations and reconstruction. The Salesian houses are many kilometers from the area hit by the cyclone - the so-called "Beira corridor", about 130 km long and inhabited by one million people. The Provincial House is located 1,100 km further south and the nearest presence, that of Tete, is however over 500 km away. This explains both why the centers of the Sons of Don Bosco have not suffered direct damage, apart from some small problems caused by persistent rain throughout the country; and why at this time they cannot participate personally in aid efforts, due also to access routes to the city of Beira and the province of Sofala are compromised and that communications with those areas have been interrupted for days. There is, however, great concern for several pupils of the Salesian centers who usually reside in the boarding schools of the institutes and who have families of origin in the areas hit by the cyclone. Meanwhile, as part of the Conference of Religious of Mozambique, the Spiritual Sons of Don Bosco are working to encourage the collection of money in favor of Caritas and NGOs such as "Doctors Without Borders" - both for first aid operations and in view of the reconstruction. Furthermore, within the educational centers they are promoting the collection of all those basic necessities (food, medicines, clothes, drinking water) to convey them to the rescuers present at the sites hit by Cyclone Idai. "We thank everyone for the prayers and solidarity shown so far. Do continue to help us," said the Superior of the Vice Province of Mozambique, Fr Marco Biaggi. (ANS - Pune) – “This is a once in a lifetime experience,” said one of the young Salesians upon hearing of the visit of the Salesian Rector Major to the Province of Mumbai. There was intense excitement exuding from the campus of Koregaon Park, Pune as it prepared itself to welcome the 10th Successor of Don Bosco, Fr Angel Fernandez Artime. For a good number of young Salesians this was the first time they had seen and personally encountered the Rector Major. Father Artime was welcomed by the young brothers on March 24 in Pune. The Rector Major upon reaching Pune – on day two of his trip in India –addressed all the Salesians who had gathered and shared with them his personal reflections about the state of the Congregation in the world as well as in the Mumbai province. He warned the confreres to beware of the major temptations of clericalism and thirst for power. He expressed his desire that the Congregation always remain faithful to the charism of Don Bosco and to the Constitutions. Then he answered some questions with regards to poverty and how we ought to understand poverty today. Father Á.F. Artime made it clear that one of the most fundamental forms of poverty is the lack of human dignity that exists in many societies. He pointed out that Salesian educational interventions must address this pressing issue before moving on to helping young people equip themselves for a better future. A final question that arose was with regards to the missionary dimension. The Rector Major cleared that the missions are a fundamental dimension of the Salesian vocation. He encouraged the young Salesians to seriously consider the call to the missions and to opt generously should they feel called. In the afternoon he received a rousing welcome at the Sacred Heart Parish and Don Bosco High School and Junior College. He got a glimpse of the local culture as he rode to the parish on a chariot; a high tea followed. The Rector Major was then led in procession with a prayer dance by the Don Bosco Junior College students to celebrate the Holy Eucharist for over 1500 faithful who had gathered. After the Mass a cultural programme followed. The Rector Major was then felicitated by the different units of the Salesian family and then he released a book, “Salesian Contribution to the Ahmednagar Mission”, a theological, historical, and pastoral study authored by Rector and Parish Priest of Sacred Heart Parish, Father Michael Bansode. He ended his Pune sojourn with the traditional Salesian “Good Night”. (ANS - Sonada) – The 2019 Indian general election is scheduled to be held in 7 phases from 11 April 2019 to 19 May 2019 to constitute the 17th Lok Sabha. Voting in Darjeeling district is scheduled for Holy Thursday, 18 April 2019. So, in the Darjeeling district, a public service announcement video was made, to educate the public on the importance of exercising their democratic rights. This five and half minute music video, entitled ''Ensure Your Vote'', in Nepali language folk music style, has been produced by the campus radio of Salesian College Sonada, Darjeeling, and given free for broadcast to local television channels. Geographically, Darjeeling district can be divided into two broad divisions using 8 langauges besides scores of dialects in the hills and the plains. The entire hilly region of the district comes under the Gorkhaland Territorial Administration, a semi-autonomous administrative body under the state government of West Bengal covering three hill subdivisions of Darjeeling, Kurseong and Mirik. The foothills of Darjeeling Himalayas, which comes under the Siliguri subdivision, is known as the Terai. Radio Salesian established in 2016, is the only community radio broadcasting in Nepali language in India. ''The music video is an excellent production by Radio Salesian and Salesian College,'' said the district magistrate Ms Dasgupta introducing the short video to a packed audience of media persons from both print and electronic media. While Radio Salesian programme director RJ Samir wrote the lyrics, youngest RJ Dikshit composed the music and gave the vocals assisted by RJ Sagar. The song was recorded by RJ Bryan and camera and video editing was done by Bruno Thapa at Salesian Television studio. ''Radio Salesian plans to do a voter education campaign among first time voters starting from Salesian College,'' said RJ Samir briefing Ms Dasgupta who was delighted to hear the proactive initiative from a college team. Another version of the same video with English language subtitles was released on Monday, 25 March 2019. (ANS - Adelaide) - A long-time missionary priest of Australia-Pacific Province, Fr Michael Keogh SDB, returned to the Lord early in the morning of Friday 22 March 2019. Fr Michael was 92 years of age, had been professed for 68 year as a Salesian, and served at the altar as Christ’s priest for 58 years. Father Keogh was born in Quetta, India [now part of Pakistan] on 21 September 1926. At the end of his secondary schooling, he joined the Salesians, making his first religious profession on the feast of Mary Help of Christians, 24 May 1950. He undertook philosophy and theology studies in Salesian College Sonada and Sacred Heart College Shillong prior to his ordination as a priest on 26 June 1960 by saintly Bishop Stephen Ferrando SDB, then bishop of the Diocese of Shillong in North East India. (On 3 March 2016 Bishop Ferrando was proclaimed to be Venerable after Pope Francis recognized that Ferrando led a life of heroic virtue). Father Keogh worked in numerous places in India, including Park Circus, Bandel and Liluah (Kolkata), Krishnagar (West Bengal). Since arriving in Australia, Fr Michael served in many schools and parishes as educator and pastor. He was famous as a serious hockey player in his young days. With a serious face, he was never slow to play some practical jokes on people. Fr Michael loved theatre. As an expert mimic, he would perform so well on many occasions to entertain others. Rector of Bandel aspirantate Father Anthony Erathara recalls Father Keogh as “a mesmerising storyteller.” “He was such a wonderful Salesian priest, a friend of all, particularly of our young aspirants and Brothers (clerics in practical training). I cherish the valuable help rendered to me through skits and interesting dramas for the academy of those years,” says a young cleric of those days at Bandel aspirantate and now Rector of Salesian College Siliguri Campus, Father (Dr.) Mathew Pulingathil. “A great friend of mine, he encouraged me much. He knew how to interact with youngsters. A good teacher, he coauthored a text book for teaching English to Bengali students when he was at Don Bosco Krishnagar. A lover of cricket, hockey, football, drama and storytelling, he had all that young boys loved,” says Salesian Father Sebastian Champanil, a leading Catholic charismatic figure in Eastern India. “He was a true Salesian of Don Bosco. May his gentle and joyful soul rest in peace, amen!” Fr Will Matthews, AUL Provincial, said. India - The Rector Major: "Imagine for a moment if the Salesian Family did not exist ..."
(ANS – Mumbai) – Mumbai and Samaria have little in common. One, a small region that formed ancient Israel, and the other over 4000 kilometers away is a bustling metropolis in Western India drawing millions of people in search of a better life. Rector Major Angel Fernandez Artime, the 10th successor of Don Bosco, during his Holy Mass at the Shrine of Don Bosco's Madonna, Mumbai, on March 23, drew inspiration from the life-changing experience of a Samaritan woman who met Jesus at a well. Hundreds of laity, including the Salesian family, youth from Salesian institutions, confreres, and the faithful assembled to listen to Father Artime's message, the crux of which focused on Jesus' loving mercy and refusal to condemn the woman despite perceived infirmities. Father Artime also underlined the importance of Mother Mary in the Church, saying that she is ''always partnering'' with the faithful throughout their lives to help carry the burden. A special youth choir added a melodious touch to the service, which ended with a felicitation ceremony, a Spanish dance, singing of the Salesian youth movement anthem, and the release of Father Elias Dias' book entitled 'To Don Bosco with Love: History, Pedagogy, Spirituality'. The Provincial of the Mumbai province, Father Godfrey D'Souza, and Vice-Provincial Father Savio Silveira were present at the Mumbai International airport to welcome the Rector Major at 1 am on March 23. First on Father Artime's agenda was a meeting with Father D'Souza and his team of provincial councillors from 9:30 am to 1 pm, getting feedback on various issues pertaining to the province of Saint Francis Xavier. The Rector Major made it clear at the onset that the purpose of the meeting was not to conduct an external audit but a fraternal sharing with the provincial council and an exchange of ideas. He gave the team pointers on how to be transparent in all financial matters and dealings. He then met Sister Ritha Dora Thomas, the Provincial of the Salesian Sisters of the Province of Mumbai, and over 50 Daughters of Mary Help of Christians (FMA) at 4 pm at Auxillium Convent, Wadala. ''Live your consecrated lives, your Salesian charism. You need to be a witness in life as that's what the youth look at. Work for the poor and abandoned,'' he said. Father Artime also made some time in the day, to interact with youngsters of the Don Bosco Provincial House Oratory. Greeting them with high five's, the Rector Major's presence was an endearing reminder of Don Bosco among us, as children ran, jumped and played. Yesterday, Sunday, March 24, the X Successor of Don Bosco went to Pune, where he met with all the Salesians of INB to listen to their questions and deliver his instructions. Then, in the afternoon, dressed in the clothes reserved for illustrious guests, the Rector Major, together with his Secretary, Fr Horacio López, went to the “Sacred Heart” parish in Yerwada, where he presided over the Sunday Eucharist, followed by a moment of fraternal agape with the Salesian Family. (ANS - Budapest) - The Hungarian Salesian Province of "St Stephen King" announces, with great joy and emotion, that at the end of a long course of studies and research, it has succeeded in identifying and bringing to light the relics of Blessed Stephen Sándor, Salesian martyr (1914-1953). Preparation work began over a year ago under the guidance and supervision of Dr. Eva Susa, legal expert. Based on the documents of the era that were consulted, the professional experience and the hypotheses held, there was the conviction, or at least the strong hope, that the martyr's body was buried with his companions, the same who shared that tragic death in the New Public Cemetery of Budapest, and more precisely placed in the 37th place, in the second row, in burial niche 301. Stephen Sándor, a Salesian brother, was sentenced to death following false trials, and was buried in an unmarked tomb. Before his beatification, which took place in 2013, the Salesian Congregation had tried to recover the martyr's body. The historical-archival study of Dr. B. Varga Judit, although not having achieved a definitive result, had largely contributed to the current work. On 12 November 2018, in the presence of scholars and experienced professionals, the tomb was opened where the bones belonging to six complete skeletons were extracted. The anthropological study performed on the bones took place in the NSZKK Anthropology Laboratory (National Research Center). The genetic material belonging to the Martyr was extracted from an envelope that had been personally closed by Blessed Sándor and a stamp used by his brother. DNA analysis was performed by Dr. Eszter Dudas. "At the end of these exams, carried out under strict specialist supervision, we are pleased to announce that, from both a legal and a forensic point of view, among the remains of the six subjects we found we were able to identify those of the blessed Stephen Sándor, Salesian martyr," Fr Pierluigi Cameroni, Postulator General of the Causes of Saints of the Salesian Family, affirmed with satisfaction. Subsequently, based on the indications of the Holy See, news will be provided regarding authentication, preservation of relics and religious celebrations. The Salesian Family thanks all those who participated, collaborated and made the process of recovery and identification possible. (ANS - Ramos Mejía) - In the retreat house "Domingo Savio" of Ramos Mejía, near Buenos Aires, Argentina, the Continental American Seminar of the Association of Curators of Salesian History (ACSSA) was held on the theme: "Innovative and Incisive Salesian figures in the 20th century." The seminars are preliminary instances of exposition of the research papers that will be presented at the 2020 ACSSA World Congress. "Throughout history there has been a rich legacy of the Salesian charism and its significant figures," said the President of the association, Fr Francesco Motto, SDB. Then, in the first general conference, Fr Motto spoke about the importance of preserving memory in order to write one's own history and to build one's own identity. "To have an identity we must remember and write history. And history is written starting from documentary sources." He then recalled that Don Bosco insisted very much that in the various Salesian houses the chronicles be written and documents kept and safeguarded. The topics of the presentations and debates were many and of high quality. The report "Prominent Women in the Field of Missions" was presented, coordinated by Sr. Ana María Fernández; Jenny Cruzat, of the Daughters of Mary Help of Christians (FMA) of Peru, spoke on the figure of "Sister Maria Victoria Orihuela" (1859-1911), while Sister Gloria García Pereira spoke on "Sister Maria Concepción Posada Posada" (1903-1996). Dr. Laura Mombello introduced the theme "Traces of the present in life stories" followed by the reports: "Prominent women in the field of education and school"; "Martina Petrini Prado, FMA"; "Sister Isabel Moreno (1890-1962)"; "Sister Anna Maria Coppa, founder of the first Catholic “Normal” Institute in Ecuador from 1940 to 1965". Other presentations concerned: "Workers' circles, parish networks and political participation"; "Mons. 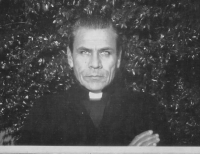 Jaime de Nevares: 'Father Jaime', Pastor of Neuquén (1915-1995)"; "Giacomini and Magallanes. The flowering of obedience." The seminar was a way to reflect on the historical work of the Salesians and the FMA in the early years of their presence in Latin America. "This event was attended by a large number of people, with reports and quality studies," commented Fr Motto at the end, "and we have reached a professional and updated collaboration from each of the participants. Now it is necessary to think about the future of the ACSSA, not only in Congresses and Seminars. The role of the Provincials is important because they allow and stimulate dedication to Salesian history. It is necessary to create a common opinion, a cultural policy of the Congregation. Each member must commit himself to personally disseminating the experience of these seminars in their own houses, and especially the need to continue to think and reflect on Salesian history." (ANS – El Obeid) – As has been the case in other years, past pupils from the Don Bosco Centre in Seoul have rallied to help Salesian vocational centres elsewhere, this time in Khartoum and El Obeid, Sudan. Working closely with Mr Lin Chanwoo, a past pupil from Batch 7, Br Marino Bois, SDB, spent 7 weeks in Sudan at these vocational training centres, repairing machines, helping the teacher find an easy way to make tools. They opened a classroom sponsored by the past pupils from the Seoul Don Bosco Centre, with 15 computers to teach CAD (Computer-Aided Design). Br Bois had to give lessons to the teachers and prepare them to teach the students. A Korean woman sponsored a classroom with 20 computers to teach the boys how to use the keyboard to type in English and Arabic, and the basic functions of the most commonly used programs. “What a joy it was to see all the computers turned on together!” said Br Bois. The missionary activity, supported by the Salesian past pupils, has grown each year, and as a result, last year the Salesians were able to provide two new lathes. These were the only two new machines they had received since their school began. The school was founded by Salesians Father Vincenzo Donati, and the Comino Brothers, Jim and Andrew. Due to lack of funds they could only purchase second-hand machines. As time passed, the old machines got older and developed many problems. So every bit of help from outside was and is really welcome! On the way back, the group stopped over for one week at the St Joseph's vocational training centre in Khartoum. “I was there in 1991–1992, and there too the school only had a small budget, and we could only buy second-hand machines. After we recruited 20 young people, I taught them for four months, then Br Jim Comino took my place. In collaboration with Fr Vincenzo Donati, he developed the school until it was taking in 300 students. They also had a request from the local police to also teach the boys from the prison. That very morning, two military trucks arrived at the school full of boys and policeman as well who were willing to learn the skills offered in the special courses prepared for them,” said Br Bois. Recently, the school situation became difficult. Most of the teachers had been formed in the school, many of them recruited from the refugee camps, and all from what is now South Sudan. When the South declared independence, the majority wanted to return to their homeland. Recruiting new teachers with the know-how to teach practical subjects was not an easy problem and is not completely solved. A young Indian missionary is working hard to bring the school back to the level of former times, starting with the welding section, where almost all the machines, after 25 years, are almost unusable. “We will try to see what we can do since we have still some of our budget left over. If we are called upon again and if it is the will of God, we are ready...” Br Bois concludes. (ANS – Rangajan) – The Don Bosco Center Rangajan, located in Assam, India, will be able to construct several restroom facilities that include 50 new toilets and a septic tank, thanks to funding from Salesian Missions donors. The project is part of a Salesian Missions “Clean Water Initiative” which will ensure that the mostly poor, indigenous residents from a number of remote villages who use the center will have access to adequate facilities. At the Don Bosco Center Rangajan, Salesian missionaries provide both a high school and vocational technical training facility. Constructing decent restroom facilities in these villages will help improve health and hygiene as well as curb the outbreak of disease. With more than 1.3 billion people, India’s growing population is putting a severe strain on the country’s natural resources. According to Water.org, close to 77 million people do not have access to safe, clean water and 769 million have no sanitation services. 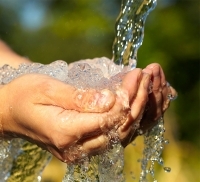 Most water sources throughout the country are contaminated by sewage and agricultural runoff. While India has made some progress in the supply of safe water, there remain gross disparities in safe water access across the country. The World Bank estimates that 21 percent of communicable diseases in India are related to unsafe water with diarrhea alone causing more than 1,600 deaths daily. Access to proper sanitation is extremely poor, particularly in rural areas where only 14 percent of the population has access to a latrine. The World Toilet Organization has noted that the world is not on track to reach Sustainable Development Goal 6 which ensures availability and sustainable management of sanitation and water for all by 2030. It indicates that 4.5 billion people live without safely managed sanitation and 892 million people still practice open defecation. The impact of exposure to human waste has a devastating impact on public health, living conditions, nutrition, education and economic productivity across the world. In response to this crisis, Salesian Missions has developed a “Clean Water Initiative” that has made building wells and supplying fresh, clean water a top priority for every community in every country in which Salesian missionaries work. (ANS – Bratislava) – This year, the Salesian parish and church of St. John Bosco in Trnávka, Bratislava, celebrates the 80th anniversary of its consecration. This is one of the first sites where the Slovak sons of Don Bosco have come. Firstly, it was an area of poor worker barracks behind the borders of the town. “When the Salesians first came in 1938, they wanted to spread faith and culture to this periphery of Bratislava. In 1938, the first Salesians were not welcomed by the local people who threw stones at them, but the Salesians didn't give up… Finally the church was sanctified on June 4, 1939,” said director of the Salesian community, Fr Tibor Reimer, SDB. During Lent 2019, thanks to this anniversary, a large textile banner has been installed above the altar in the area of the presbytery. This temporary art intervention helps to discover the power, beauty and a specific character of this functionalist church space. This temporary installation has been put for 40 days - from Ash Wednesday to Holy Saturday (6 March – 20 April 2019). The author of the the Lenten curtain is Klára Štefanovičová, a student of the Academy of Fine Arts in Bratislava, who is studying Free Printmaking in university. We can find tradition of Lenten curtains in the Middle Ages, where a main part of the presbytery or altars were covered in the Christian temples during Lent. “It is an invitation for a visitor who is in this church space to offer the possibility of a radical fasting of the eyes,” says the project curator, also a Salesian parishioner, Michal Žák. The installation will be accompanied by cultural parish events. These events are called Lenten Wednesdays which consist of Holy Mass at 6 PM with the opportunity for the Sacrament of Reconciliation, followed by moderated cultural and spiritual evening at 6:45. During Lenten Wednesdays, visitors can hear presentations of speakers such as historians, architects, scenographers and theologians. All evenings are accompanied by different music groups and styles. Mozambique - Rector Major: "Feel the closeness of my prayer and the presence of Our Lady Help of Christians who accompanies you"
(ANS - Beira) - Heartbreaking images of death and destruction have been arriving from south-eastern Africa just a few hours after the passage of the "Idai" cyclone. According to the first estimates, around 2.6 million people have been affected by the natural disaster, which could become one of the "worst climate-related disasters ever seen in the southern hemisphere," UN officials said on Tuesday. As usual, the Salesians are close to the people suffering: "the missionaries are mobilizing to help the victims with food, clothing and basic necessities," said the Spanish Salesians. The Salesians in Spain received information through Ángel Miranda, who has worked with the Salesians of that country for several years. "The Salesians in Mozambique have not suffered any damage to their homes and can therefore mobilize themselves to help the victims." The cyclone in Mozambique has caused much chaos, especially in the city of Beira, on the central coast of Mozambique. "The roads are broken and products such as fuel and drinking water are becoming rare," explains Fr Francisco Pescador, SDB, from Mozambique. The communities where the Salesians reside - Maputo, Moamba, Inharrime, Matundo and Moatize - were not seriously affected. "We are in permanent contact with the dioceses affected and we will help the suffering population as much as possible," explain the religious. They add: "The cyclone in Mozambique took away the houses that were built on the river bed or on the nearby shores. Furthermore, the floods were sudden and nocturnal. There was no time to react." The situation in Zimbabwe is also very serious, due to the large number of deaths. The office of the International Rescue Committee (ICR) in the country has declared that "following cyclone Idai a new fear is awakening: that of the outbreak of epidemics and contagion of cholera and malaria due to unhealthy conditions." The Chimanimani region is among the most affected, with many areas inaccessible even to helicopters, which makes rescue operations difficult. In Malawi the death toll is 150, with over 500 wounded and over 140,000 displaced. To the people suffering from grief, the Holy Father expressed his closeness, stating: "In these days, great floods have sown grief and devastation in various regions of Mozambique, Zimbabwe and Malawi. To these dear people I express my pain and my closeness. I entrust the many victims and their families to the mercy of God and I implore comfort and support for those affected by this calamity." The Rector Major, Fr Ángel Fernández Artime, also expressed his solidarity: "Let us thank God who always accompanies us in times of difficulty. I invite you not to be discouraged at this time and to put all your energies at the service of the people who need us most. Feel the closeness of my prayer and the presence of Our Lady Help of Christians who accompanies you." (ANS - Madrid) - The concept of mission in the Church is in a full phase of review, due to globalization, the new cultural context, migration, pluralism ... These and other realities have led to the emergence of new theological and pastoral approaches to the mission, especially those that Pope Francis is bringing with his teaching for an outgoing Church. The Salesian Congregation, missionary since its origins, not only follows this evolution closely, but participates in it. For this reason, the Salesians organized a seminar on Missionary Animation to be held on 26 and 27 March at the "El Plantío" center in Madrid. With the title "The Mission renews Pastoral Care", the seminar aims to update the vision of missionary action in Spain and in the Congregation, and to extend it to all Salesian circles. The seminar presentations will shed light on this macro-theme starting from three key points: ecclesial, of the congregation and pastoral. Roberto Calvo, professor at the Faculty of Theology of Northern Spain (Burgos), will speak on "Mission animation in the new paradigm of mission". Fr Gianni Rolandi, member of the Dicastery for the Missions, will talk about "Past, present and future of Mission Animation in the Salesian Congregation." Finally, Fr Miguel Ángel García Morcuende, member of the Congregation's Youth Ministry Dicastery between 2010 and 2017, will focus on "A youth ministry that is renewed through the mission." Also taking part, the National Delegate for Missionary Animation, Fr Juan Linares, and the delegates of the two Salesian Provinces of Spain: Fr Javier Zudaire, of Spain-Mary Help of Christians (SMX), and Xabier Camino, of Spain-St James Major (SSM). They will be accompanied by the commissions of the provinces, composed of Salesians and lay people. Furthermore, the presence of the SSM Provincial, Fr Juan Carlos Pérez Godoy, and of the Provincial Vicar of SMX, Fr Fernando Miranda, as well as several Spanish missionaries who have returned to pastoral service in their country of origin are expected. Finally, the representatives of Salesian NGOs in Spain ("Jóvenes y Desarrollo", "Solidaridad Don Bosco" and "Vols") and of the Salesian Mission Office in Madrid will also participate. The Salesians hope that this seminar opens new paths to missionary animation. They wish to continue to promote the vocational and missionary character of every Christian as well as propose missionary formative processes. And, on the guidelines drawn by Pope Francis, they maintain that "being a missionary is to be a Christian in his most intimate essence." (ANS - Rome) - From 23 to 28 March, the Rector Major, Fr Ángel Fernández Artime, will be in India, accompanied by Fr Horacio López, Secretary of the Rector Major, for the Animation Visit to the India-Mumbai Province (INB). The X Successor of Don Bosco arrives in India tomorrow night, 22 March, but his commitments begin the next morning. The first official appointment shall be the meeting with the Provincial Council, to be held in the provincial seat of Matunga in the early morning. In the afternoon of the 23rd, two meetings have been scheduled: one with the Daughters of Mary Help of Christians (FMA), the second with the Salesians, the FMA and young people, who will welcome the Rector Major in the Shrine "Our Lady of Don Bosco." On Sunday, March 24, Fr Á.F. Artime will be in Pune. In the morning he will animate a conference for the Salesians; in the afternoon, he travels to Yervada. Here, after a brief refreshment with the Salesian Family, he will preside over the Sunday Eucharist at the parish of the Sacred Heart. On Monday, March 25th, the Successor of Don Bosco meets the young of the Nashik novitiate and then shares lunch with them at the student residence of Divyadaan. In the evening, he will return to Mumbai and from here, on the morning of Tuesday 26 March, he will leave again, this time towards Baroda. There shall be many young people waiting for the Rector Major in Baroda who will meet him during the event scheduled for the afternoon. Then the Successor of Don Bosco celebrates Mass at the Don Bosco Parish. On Wednesday 27, he is scheduled to return to Mumbai for the last day of the Animation Visit. On this day, Fr Artime will go to the community of Andheri where he will participate in the celebrations scheduled for the 50th anniversary of the “St Domenico Savio” school. Before leaving for Rome, the Rector Major will then join the Salesian Family and the staff of the "Domenico Savio" school for lunch. After the Visit to India by the Rector Major in November 2017, expectation are high for his return to India. Salesians, FMA and many young people from the Province are now waiting to receive his encouragement again as the Successor of Don Bosco. Mozambique - Cyclone Idai: "A disaster of great proportions"
(ANS - Beira) - After weeks of torrential rains and floods, a large area between Mozambique, Zimbabwe and Malawi has been hit by Cyclone Idai. Although the official figures are still being updated, the situation on the ground is defined as "terrifying": over 200 victims already registered, but the estimates speak of more than 1,000. Of the three countries affected by the fury of the cyclone, Mozambique is probably the hardest struck. The communities of the Salesians and the Daughters of Mary Help of Christians in Mozambique, despite not having homes in the tragedy's epicenter, are mobilizing to assist the victims by providing food, clothing and basic necessities, as well as their prayers. In the coastal city of Beira, 90% of the buildings have been destroyed or damaged, while most of the population is displaced. Also severely damaged are sections of the hospital and the city's most important access roads. The port is only partially operational, but still allows for the arrival of aid by sea. Other central provinces of Manica, Zambezia and Tete have also been affected by floods, as well as part of the northern part of Niassa. Many of the inland villages have remained isolated and still inaccessible to relief efforts. Even in Zimbabwe the situation is serious: there are at least one hundred dead and over 200 missing. The damage to homes and infrastructure are considerable and the first estimates speak of over 900 buildings destroyed. The Chimanimani region is among the most affected, many areas are inaccessible even to helicopters, making rescue operations very difficult. In central and southern Malawi, the cyclone and floods have also caused massive damage with dozens of deaths, more than 500 injured and over 140,000 displaced people in 13 districts. The areas of Chikwawa, Zomba, Balaka, Machinga, Dedza and Ntcheu are the most affected. 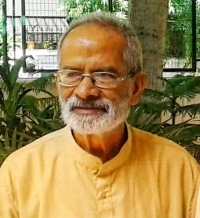 (ANS - New Delhi) - On the day when the Church celebrates the putative father of Jesus, on March 19, Fr Anthony Thaiparambil passed away in New Delhi, a man who can be considered the father of about 80,000 street children from various cities of India. Among the pioneers in serving children at risk in the slums, he spent 33 years devoting himself to various activities in their favor. The funeral is scheduled for Friday 22nd in New Delhi, in the province to which he belonged. Fr Anthony Thaiparambil was the eldest of three other brothers who became religious: two as Salesian brothers, in the Calcutta Province, and one as a Jesuit priest. His brother Mathew also died recently, on February 1 in Calcutta. "Father Anthony has touched many lives of street children [in Kolkata and New Delhi]. He always prayed for the children in the streets during his last days," said New Delhi Salesian Provincial Fr Jose Mathew. Besides being a model for many other volunteers who would follow in his footsteps, it was probably he who inspired the character of Paul Lambert, the French missionary active among the poorest of the slums, in the famous novel "The City of Joy" by Dominic Lapierre. In fact, Fr Thaiparambil had started working for street children in the same room in the shantytown of Pilkhana, near the Howrah railway station, rented by Lapierre to write his masterpiece. The Salesian had obtained a Master's degree as a Social Assistant and observed a disturbing number of children wandering in the area of ​​Howrah station, in Calcutta, children who were afflicted and very poor. Concerned, he decided to approach them and learn more about their situation. He began to regularly go to the station, to spend his time with them, to learn about their constant struggles for survival and the abuses they often suffered. He also noticed that during the day they did menial jobs and that at night they often had to fight for a minimum of security. Unable to bear such misery, Fr Thaiparambil decided to act. On 8 December 1985, with the support of the NGO "Seva Sanga Samity", he opened the first night shelter for 14 street children in the shantytowns of Pilkhana and began to live with them. Mother Teresa of Calcutta also came to the inauguration of the first shelter "Ashalayam" (House of Hope) in Belilious Road, Howrah, in 1991, and of the second refuge in Bhattnagar, Howrah, in 1995. “We shall take care of the girls, you take care of the boys,” Mother Teresa told Father Anthony when he started Ashalayam Project. Subsequently, the Salesian went to work in the nation's capital, again in favor of street children: within 10 years, he opened three centers: in 1997, the "Don Bosco Ashalayam" center in Bindapur; in 1999 in Palam Gaon; and in 2007 in Lucknow, then transferred to the current headquarters in Mohanlalganj. Today, over 500 children reside in the 23 "Ashalayam" shelter homes in the districts of Howrah, Calcutta and Nadia. Besides providing assistance to thousands of street children each year, the Ashalayam centers have so far helped around 80,000 children. (ANS - Mestre) - The Rector Major of the Salesians, Fr Ángel Fernández Artime, yesterday, Monday 18 March, concluded his visit to the Salesian Province "San Marco", of North-East Italy. After the big party on Sunday in Jesolo, yesterday was dedicated to the meeting at the Provincial headquarters of Mestre with the INE Province Council and to the visit to the Salesian house of Mogliano Veneto. If in the morning the gathering with Fr Igino Biffi, Provincial, and his council, was an important moment for listening to the challenges of the Province and to offer one's vision on the life of the Congregation globally, the highlight of the afternoon was lived in the Auditorium of the Salesian Institute "Astori" of Mogliano Veneto, with the meeting addressed to the laity of the houses of the North-East Province who hold positions of responsibility within the various Salesian realities. "It was nice to see familiar faces so excited and enjoying the words of the Rector Major, who with his charisma was able to give precious advice to all those present," said participants. The intervention of the Rector Major constituted in a study and search for clarity on the present situation and on the orientation to be taken for the future. Awareness and loving kindness: these were the two essential elements indicated by Fr Á.F. Artime, to live the Salesian reality today and to be able to operate in the full spirit of Don Bosco. The meeting took place in the debate mode with questions prepared by every present Salesian reality. In the pressing truth for answers, the fervent passion of a man who strongly believes in the power of union, in works, between laity and Salesians was noted. This appointment ended with the traditional greetings and many selfies, after which the X Successor gave an interview to the youths of the "Cube Radio" (radio host, Francesca Marchese; photo and video, Giacomo Mescalchin and Lorenzo Barutta), the radio station of the Istituto Universitario Salesiano Venezia (IUSVE), and offered concrete and convincing answers to current and deeply felt questions among today's youth. Finally, he went to the Community of Mogliano Veneto, a Salesian community that welcomes young people in vocational discernment and accompanies them in their search for God's will and in experiencing the Salesian charism. Thus the Animation Visit of the Rector Major in INE ended: "three days" of commitments, promises, answers and so much Salesian charism. Mexico - Mercy returns to the streets of Chapultepec: "Corredor de la Misericordia"
(ANS - Guadalajara) - The Chapultepec Promenade of Guadalajara, a long avenue marked by a significant flow of people and characterized by being a commercial and tourist area that often hosts various socio-cultural events, was the scenario for the fourth year consecutive, of the event "Corredor de la Misericordia" (Mercy Road), activity organized by the Salesian Youth Ministry, by the Parish of Our Lady of Peace and by the Salesian Temple of St. Francis of Sales. Pope Francis has coined an expression: "Outgoing Church". It is a terminology that has many meanings: a Church that takes care of every person, regardless of his or her moral status or ideas; a Church open to universal dialogue, with other Churches, religions and ideologies; a Church that renders all brothers and sisters, an immense fraternal community; a Church-shepherd who walks among the people, with the scent of sheep and mercy; a Church that seeks existential peripheries; a Church that is a servant and a prophetic voice; a Church that goes to the poor, dialogues with them, embraces them and defends them; a Church that stands in favor of the victims and calls them by name; a Church of the revolution of tenderness, mercy and care; a Church sensitive to the problem of ecology and the future of our Common House, Mother Earth; in short, a Church-joy of the Gospel and of hope for this world. It is with these values in the head and in the heart that the initiative of the "Corredor de la Misericordia" was also carried out this year. 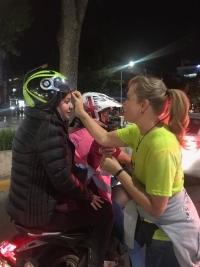 As in the previous editions, the objective of the activity was to offer people who passed by the popular Guadalajara street the possibility of receiving the ashes and inviting them to approach the sacrament of Reconciliation. The event brought together about 70 volunteers from the Salesian Family, young people from the Salesian Youth Movement and young people from the local pastoral care of the parish. Also present were Fr Abel Castillo and Msgr. Héctor Guerrero Córdova, SDB, bishop emeritus of the Prelature of Mixes. The main aim of the "Corredor de la Misericordia" was to replicate Pope Francis' invitation to announce God's mercy on the streets, and to make pastoral work a daily experience, joyful and close to all men. (ANS - Huesca) - "A spectacular day", thanks to good weather and, above all, to the large influx of participants in a cause of solidarity. Thus Antonio Rico, vice-president of the Salesian NGO "Entarachén-Vols", of Huesca, and of the mountaineering club "Javieres de Huesca", defined the 4th March of Solidarity of the municipality of Nueno for Ethiopia, which on 3 March brought together 250 participants in a circular route of 16 kilometers, with arrival and departure in the city of Hoya de Huesca de Arascués. In the popular gathering for refreshments after the march, the number of participants rose to around 300, making this edition the most attended so far. Most of the participants completed the journey, with the exception of some children who were forced by the effort to finish the journey by car. In general, people of all ages took part in the event. It was ultimately a day of solidarity, in which "from the first euro collected with the registration fee to the drinks purchased after the race were destined for 'Entarachén-Vols', for two projects in Ethiopia," said Mr. Rico. The two projects being supported concern the Don Bosco Youth Center in Addis Ababa, capital of the African country, which serves around 500 children in situations of extreme vulnerability, offering them scholastic and financial support; and the "Women In Development" Project (WID), in the city of Zway, which works as a center for the promotion of women from an early age. As known, the Ethiopians have a very low quality of life, as regards GDP per capita. Not only that, the United Nations Human Development Index, which measures the progress of a country, reports that Ethiopia is among the countries with the worst quality of life in the world. For this reason, the Salesians of Spain have decided to support their development. (ANS – Dili) – More than 1,170 poor youth across 11 Salesian centres in East Timor have access to better nutrition thanks to a partnership between Salesian Missions and “Rise Against Hunger”, an international relief organization that provides food and life-changing aid to the world’s most vulnerable. The rice-meal donation was shared with the Don Bosco Co-Educational Technical School, the Don Bosco Agricultural College, the Salesian-run Madalena Morano Center, the Don Bosco Technical School Fatumaca and the Don Bosco Orphanage, among others. This shipment, received in October 2018, was one of two shipments sent to Salesian centres in East Timor. The second arrived in January 2019. The donated rice-meals are provided during the school day to ensure students have a healthy meal each day. Salesian missionaries in East Timor have been providing programs to help residents recover and rebuild in the wake of a devastating civil war in the country that claimed countless lives, decimated entire communities and resulted in living conditions that are among the worst in the world. Now that the violence has subsided, efforts are being focused on helping the poor, restoring hope and providing new opportunities for the future. In the city of Maliana, the new Don Bosco Co-Educational Technical School has already become an important centre of education. The school is focused on improving its overall facilities, including the kitchen and dormitory, and enlarging its provisions of filtered drinking water. At the Don Bosco Technical School, vocational education helps youth gain an education and prepare for the future. It serves more than 250 students, 11 percent of whom are girls, who take three-year courses in carpentry, mechanics or electronics. Each year there are more than 400 applications for the 84 student spots. Final year students are required to design and produce a product that encompasses much of what they have learned over the previous three years. In addition to technical education, Salesian missionaries in East Timor focus on agriculture training. In the city of Fuiloro where 75 percent of the population earns a living though farming, the Don Bosco Agricultural College plays an important role in promoting better care of livestock and increasing crop yields. In 2017, there was an increase in enrolment applications and now more than 200 students take courses at the college. The school is aiming to become more self-sufficient by increasing the farm production of corn, animal feed, varied horticulture and coconut oil and improving livestock intake. “Rise Against Hunger” partners with Salesian Missions which works to identify needs and coordinate delivery of 40-foot shipping containers full of meals, supplemented with additional supplies when available. The partnership was developed in 2011 and since that time shipments have been successfully delivered to 20 countries around the globe. The meals and life-saving aid have helped to nourish poor youth at Salesian schools and programs and care for those in need of emergency aid during times of war, natural disasters and health crises. East Timor is home to 1.26 million people and according to the Human Development Index, the country ranked 133 out of 188 for life expectancy, access to education and standard of living in 2016. The World Bank estimates that East Timor has close to 42 percent of its population living in poverty with over one-third of the population regularly experiencing food shortages. In addition, close to 50 percent of the population is illiterate. (ANS - Jesolo) - The Rector Major of the Salesians, Fr Ángel Fernández Artime, spent the weekend in the Salesian Province "San Marco", of North-East Italy. "Don Ángel, come and remind us, in the name of Don Bosco, that we have a mission, entrusted to us by God, urgent and timely to accomplish: the salvation of souls,” wrote the INE Provincial, Fr Igino Biffi, in a letter sent to the Rector Major and to all his confreres in the Province on the occasion of the visit. The Rector Major's visit began on the evening of Friday 15 March with his arrival in Mestre. On the morning of Saturday 16, in the premises of the "San Marco" Institute, an assembly was held with the Salesians of INE, all gathered to hear the impressions and advice of the Successor of Don Bosco. The Rector Major focused on the importance of the presence of the Salesians to carry out the mission of the work in the world. In the afternoon he went to Schio to meet the children and visit the community. In the morning of Sunday, Fr Á.F. Artime continued his visit by participating in the "Festa dei Ragazzi" 2019 edition, organized by the INE Youth Ministry team. "I went to the Salesians, felt very good among the young and so it continued until today ... Did I hear 'a voice'? No. But I experienced so many beautiful things that made me feel that I could be happy in that way." He then praised the commitment of the children to support Salesian miThe Rector Major told the children how he met the Salesians and offered his vocational testimony.ssions in Syria, Brazil and Ethiopia and noted that in each country he visited he always saw, together with the suffering, the seeds of hope sown by the Salesian Family. He then narrated his experience at the Synod of Bishops on Youth and shared how, from the reports presented, young people from the poorest countries are happier than those in European countries. "It's something we have to think about. It's the truth told by young people," he commented. Finally, he spoke of some of his experiences in traveling to India and Syria, before concluding with the Eucharist. The afternoon saw him busy with the Salesian center in Padua and a visit to the community of the Daughters of Mary Help of Christians. Photos of the visit, ending today, Monday 18 March, are available on ANSFlickr.